Women and Youth Empowerment through Waste paper Recycling and Reconversion. On Sustainable Development Goals (SDG), Eteicon is making Huge Impact on the following Goals: ¤ Goal No 1: No Poverty; Through the Salaries we pay our workers (Women and Youths), we also empower them Financially hence, keeping them away from negative vices. ¤ Goal No 2: No Hunger. Most importantly when we pay salaries to our workers (Women and Youths), they use it to buy food and feed their Children and Families. ¤ Goal No 6: Clean Water and Sanitation; With many Low income families and Homes using our Low Grade Toilet Roll (Mums Toilet Tissue), Open-End Defecation has greatly reduced in our community. ¤ Goal No 9: Industry, Innovation and Infrastructure. ¤ Goal No 13: Climate Action; through the Recycling and Reconversion of Waste Paper into Low Grade Toilet Rolls, the amount of Greenhouse Gases (Carbon di Oxide, Methane gases etc) released from the Dump sites have been greatly reduced and ¤ Goal No 17: Partnerships for Goals; through the Combined activities of our Teams of Waste Pickers, Topan Advance Agro Paper Mills LTD, Rural Women and Youths in our community. IMPACT: 1). Mums Toilet Rolls (Regular Size and Jumbo Rolls) is sold at $9 and $7 per bag respectively as against $19 and $17 for the premium quality Rolls which are quite expensive for most low income families to buy and use. 2). We will convert 60 Tonnes of Waste Paper into Low grade toilet tissue per annum. 3).200, 000 low income families were served in 2015; 22 Rural Youths were engaged and 10 of which are Women were employed. 4). 20, 000 bags of Mums Toilet Tissue were produced in 2015. 5). Rural Women were empowered through jobs created in Eteicon. 6).Reduction in Greenhouse gas emissions from these dump sites. 7).Waste to Wealth and a Cleaner environment through the Recycling and Reconversion of Waste Paper into Low GradeToilet Tissue. We Gather Waste Paper through the help of Waste Pickers at the Dump Sites, Bale, Recycle into Jumbo Reels in Partnership with Topan Advance Agro Paper Mills LTD Onitsha Anambra State which has a larger capacity of Pulping 100,000 Metric Tonnes of Waste Paper Daily and producing Low Grade Jumbo Reels at a very Subsidized rate, We then Convert into different Market size Rolls for use by Low Income families across Nigeria. Having won several awards (National and International), we used our award ceilings to buy our locally fabricated machines and then startup. Eteicon funds comes from earned Income--retaining 55% of profit from each product range of Mums Toilet Tissue sold. It cost us $6 to produce one bag of Mums Regular Size Rolls which we sell at $9 (1,800 Naira) making a profit of $3 per bag; And $5 to produce One bag of Mums Jumbo Rolls which we sell at $7 (1,600 Naira) making a profit of $2 per bag; as against the premium quality Rolls which is sold at $19 and $17 respectively; not affordable for low income families to buy and use. We supply our finished goods (Bags of Mums Toilet Rolls) directly to our Distributors across 15 States in Nigeria Respectively. Both our services and products can be adopted and Implemented anywhere in Nigeria and other Countries in sub-saharan Africa to help recycle waste paper. At our current size, we are seeking for Grants, Competition, Awards and Private Investments to raise our capital (to approximately $250,000) needed for us to fully install a complete line of Waste Paper Recycling /Pulping Machine and other facilities capable of Recycling, Pulping and Reconverting over 80,000 Metric Tonnes/Year of Waste Paper into Toilet Rolls directly in E.T. Edwin Industrial Company Nigeria through a Continuous Production Principle. Emelone Tochukwu Edwin --- Is the Ceo, E.T. Edwin Industrial Company Aba, Abia State Nigeria. He was born on the 20th February, 1983. He is a Madonna University Biochemistry Graduate, an Entrepreneur with Over 5 Years Entrepreneurial Experience in Waste Paper Recycling and an Alumni of Pan-African University of Entrepreneurial Studies Lagos Nigeria. He is also a recipient of several National and international awards in honour of his company (eteicon) some of which includes; 1). 2016 Bank of Industry (BOI)--Youth Entrepreneurship Support Program (YES-Program) Award Winner (https://www.boi.ng/yes). 2). 2016 Tony Elumelu Entrepreneurship Award (Teep Award 2016; https://www.tonyelumelufoundation.org), 3). 2015 New York Forum Africa Top 50 most Innovative Start-Up Company in Africa (www.ny-forum-africa.com), 4). 2012 Nigerian Presidential Youth Enterprise with Innovation in Nigeria ( YOUWIN ) Award (https://www.youwin.org.ng), 5). 2010 Central Bank of Nigeria ( CBN ) - National Youth Service Corps ( NYSC ) Entrepreneurship Award, 6). 2010 National Youth Service Corps State Hounours Award amongst others. Am also a GREEN Champion Certificate Holder awarded by the Young African Leadership Initiative (YALI) of the United States of America amongst three other certificates awarded to me on: Understanding Climate Change, Fundamentals of Starting and Running a Business and Management Strategies for People and Resources through the Online Yali Courses. In 2013 the National Youth Service Corps ( NYSC ) Secretariat in Cross River State appointed Emelone Tochukwu Edwin to be a Skills facilitator to help in the training of Women and Youths on Skills acquisition and Entrepreneurship. This he has also been doing till present in all the 3 - NYSC batches yearly. I would like you to know that I'm 100% behind you and I choose to vote and support your project on a daily basis because it is really helping a lot of families and it brings development to your country as well.I hope you get all the help you need.may the good Lord double nor even triple everything you have. Chimdi, you've said it all. Thank you dear. Dear Mentor, assignment has been completed. 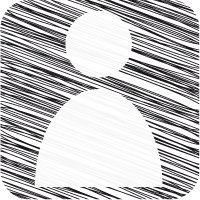 In a few minutes from now you will receive an email message. Thanks man. @Adaobi, eteicon is so grateful to you. Thank you very much for the compliment. We will keep working hard to improve on our effort so far. Thank you Frederick. We will keep doing our best. Wow... Dialemo Jonah. You've honoured me to make me your Buddy in the Boi/yes program. Hahahahahahahahaaaa, I accept, thanks to the Youth Citizen Entrepreneurship Competition for bringing us together. This is Networking at its best; However, as your Buddy before I approve your exams, you should have completed your assignments. All the best in the YCEC and Boi/Yes program too..
Hello Mentor Tochukwu Emelone, be my Buddy. You are urgently needed at BOI/YES-P platform. Pls report immediately. Meanwhile let me have your email address. Eteicon I support your project with my vote because of the great works you and your team are doing. Your crown will surely be decorated with another feather this time Goodluck. I will always celebrate this project----- Women and Youth empowerment through waste paper recycling and reconversion because I know the ceo, Mr Emelone Tochukwu Edwin as a person endowed with great virtue success which includes hard work, integrity, discipline and above all humour. Goodluck in the competition. Your project is so unique. Weldone eteicon, success is yours always. Goodluck!!!!. @ Nmaka Emelone, my mentor always tells me, 'that Integrity, Discipline, Humility and Hardwork will always make me Excel in life' and since I have adopted these great virtues to become part of me, indeed I have witnessed huge success in Eteicon, our project --Women and Youth Empowerment through Waste Paper Recycling and Reconversion and my life too. Adopt those today and see the great change you will witness too. On the other hand, our team of Women working in our project in Eteicon, are the greatest assets that we have. Thank you very much for supporting us too. Have a great day cheers. Jindu Igbo, for the compliments and prayers upon our project, we are so grateful. Thank you for taking out time to support us in the competition. Thank you Eziaku cherry. We will always work very hard to maintain our standards and improve on it. We appreciate your voting support too. Thank you once again cheers. @Okechukwu, thank you very much dear. We are working very hard daily because we also believe that there are many areas in our recycling process that needs to be improved on. Thank you for supporting us. Uche, I lost one of my very good friend who happens to be an asthmatic patient on the 26 of October 2011 due to the smoke that bellows into the sky from the dump in Aba south. Not only are we helping to reduce greenhouse gas emissions but we are also helping to provide a cleaner air quality to the over 12,000 people that live in our village #Aba South. Thank you very much for voting for us. As a woman, any sector that recognizes the effort of women is bound to be very successful. Not only is Eteicon helping to create jobs for Women and Youths, their product bears the most beautiful name on earth 'Mums'. Tochukwu, you and your team rocks #Goodluck once again in this competition cheers. Big bros, I always admire you because you are Humility, Discipline, Integrity personified and a very hard working person. I pray that God crown your effort with success. God keep blessing you through Eteicon. Little by little does the job. 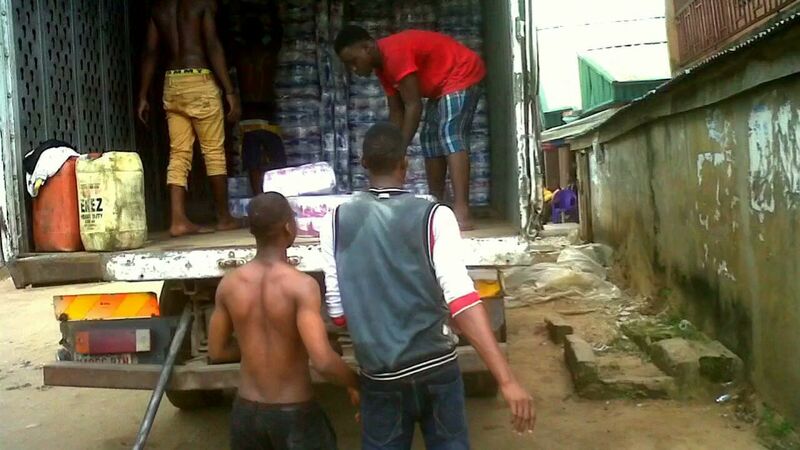 Little by little your company is helping create jobs for women and youths in Aba South. Weldone Eteicon and keep shinning like the stars. Mums low grade toilet rolls is simply the best. Fly on eagle wings #eteicon. This is the best impactful project in the competition so far. Ride on -- Women and Youth empowerment through waste paper recycling and reconversion; success is yours already cheers. You guys are awesome; so also is Mums Toilet rolls. Great initiative and Great process. Thumbs up and more grace to Eteicon cheers. Waste paper recycling into reusable products will help reduce greenhouse gas emissions; especially when these waste are continually being burnt at dump sites. Eteicon, I encourage this project with my vote Goodluck to you. Chimdi, Eteicon is immensely grateful for this gesture. Thank you very much sir. Thank you very much Chioma Okolo for supporting us. Eteicon you and your team are great inspiration to the youths in our community. Weldone guys, I wish you success all the way. Mums toilet tissue is the best way to go thanks. Great project. I support Eteicon with my votes and comment. Goodluck!!. A laudable project, you have my vote. Goodluck! @Arinzechukwu and @Elvis, thank you both for the compliment. We strongly believe in Eteicon that we still more room for improvement. Our promise is to make Mums toilet tissue very affordable and readily available too. Thank you my people. Thank you very much Herman Patrick. Eteicon will not be complete without the soft touch women on our finished product hence our product name 'Mums Toilet Tissue'. We are so grateful for your voting support on our project~~ thank you very much Sir. Thank you Elochukwu James for sharing your thoughts too about our project. We so elated now thank you very much sir. Justice Ezekiel, hahahahahahahahhaahaaa thank you for the compliment sir. Your Mum have been so resourceful in our company too. Am so shy reading your comment-- Nnam Daalu!.. Thank you for taking out time to vote for us. Wow... Thank you very much Kae Li. You have my vote support ok. Goodluck dear cheers. I support your Empowerment drive. Women and Youth empowerment through waste paper recycling and reconversion, you have my vote. At least I buy the tissue that my family uses from your company. Mums is very affordable. Thank you eteicon. This is the most laudable project that I have seen in this competition this year. #Women and Youth Empowerment through Waste Paper Recycling and Reconversion deserves all the accolades. So far in Aba South of Abia State by Omuma Road, their Waste to Wealth recycling activities speak for them. #MUMS Toilet Tissue for the Masses #popular demand #VerySoft too. I give it to you guys. You have my vote 100%. Emelone, your job through ETEICON and your Team speaks more for you. You are a Great inspiration to many youths who think that it cant be done. I pray that your company adds another feather to its cap this year by winning this Noble Competition. Congrats in advance cheers. If this is the only opportunity that I have to say thank for what Eteicon and her team are doing, I will say thank you a million times. At least, my Mum is part of this excellent team. She have been able to train me all through my secondary school through the salary your company pays her. I shouldn't say this in public but at least am grateful for what you people are doing thank you. While you guys are helping to create jobs for women and youths in our community, you are also in the process helping to reduce the greenhouse gas emissions that usually come from most of the dump sites within Aba South. Thank you guys for that. Good luck in your project..
Great project! Feasibility at its finest! I am a voter! Thank you Mr Edwin for the compliment. We will always do our best to give you the best of low grade toilet tissue. Great job Eteicon. You guys are trying. Have used Mums Toilet tissue and must confess that its awesome. Keep it up guys. Never knew it was made from garbage of waste paper. Excellent process I must say thumbs up. At least for a more cleaner environment too. Gods grace as you win this competition too cheers. Thank you very much Natasha. hey dear .i like your project ..great job you are doing there .. Thank you very much Comrade Salu Yuda for your kind and encouraging words. I have also giving you my vote ~~ Goodluck. Thank you very much Mr franklin. Eteicon will always do her best to keep producing very good quality Toilet rolls from recycled pulp of waste paper that is very affordable for the masses to buy and use. Thank you very much sir. You have a great project no matter which side the competition may take it. I support it by votes and comments because I believe it can transform societies and bring sound solutions to social problems. Just don't give up! Thank you very much Choomy. Our target market are low income families/ Homes across the 36 states in Nigeria, Kindergarten/ Nursery Schools, Hospitals and Hotels etc. Making Mums Toilet Rolls very affordable remains one of our best strategy. I also encourage you to try Mums Magic Rolls, you will love it too. Thank you very much for patronizing us cheers. Hahahahahahahahahahahaa @Ikechukwu 'Soft on your baby bumbum'.. Thanks for the Compliment Sir. Incase you are not aware sir, Mums Magic Rolls is now available in the Market. You will even enjoy it more. You won't believe its produced using recycled waste paper. The finishing is awesome so also is the Quality. Thanks for patronizing us cheers. Mums toilet rolls is so soft on the skin. I love the way the prices are set. It is very affordable thank you Eteicon. Eteicon, you people are doing a great job thank you very much. Have I told you that Mums toilet tissue is soft on my baby bumbum haahaahahahaahahahaa. Success is all I pray for you guys Goodluck. once again i join my voice to support this project. i have first hand experience of what they do. Hahahahaahahahaaa Thank you Cajetan. You are also doing great in plastic recycling works. Goodluck to you sir thanks. Thank you very much Njoya. YOUR WORK IS GOOD AS IT CLEANS THE ENVIRONMENT. Hello Dayo Olorunfemi, we have another brand on our product shelve called 'Mums Magic Roll'. We use premium quality jumbo rolls to do this and the pricing is quite competitive too. So while Mums toilet rolls (ordinary) is specifically for low income families as segmented, Mums Magic Rolls is for rich families. Which whichever is affordable for you, you buy of. Thank you very much for your time cheers. Thank You very much Imelda dearie. 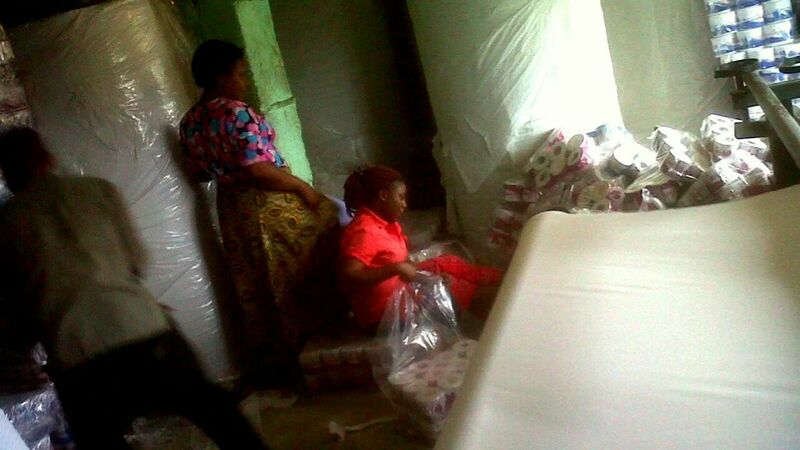 We will hopefully start exporting Mums Toilet Rolls into your Country #Congo, soonest. Thank you once again for supporting Eteicon. We wish you success in the competition too cheers. Ok Aliu Olawale, Please feel free to call me on 2347032487325..
Hi Tochukwu, your project appears to be sustainable as the profit element obtained from product sales can be plough back to expand operation in the long run. However, is it possible for you to match up with your competitors pricing model, without compromising the quality of your low-cost product sold in the market? can you create or enter new market or existing market with another unique brand to target average income customers, while you still keep the low income customers you are targeting? these are few market segmentation and product penetration approaches/ strategy that can help your grow your customer base and turnover annually. And it will help adjust your pricing model to get higher profit margin. I give you my voice my friend, hoping one day to use your papper! ahaha.. This is a good project, it will improve lives, great idea there. Wish you the best. Please I need you support also and a comment will also help. Wow.. thank you very much Mr Chinedu Umeh. Wow! !, am so speechless now. Thank you very much brother.. thank you for your kind and encouraging words. Thank you. This is a good idea from a young innovator. Thank You Mr Alam for Voting to support our Project emerge as one of the winners in the project category. I have also Vote for your project too my dear. I wish you success in the competition cheers...#eteicon. I appreciate your project and wish best of luck. I have done my vote to you. Please give a comment and vote to my idea 'Wasteless'. voting for it, commenting and giving positive feedback, please tell your friends, family, community and network to do the same. I know some people are finding it difficult to make comments or vote for me, please scroll down to the end of the page and you will see an open space with a Vote highlighted and numbers in the space; use the numbers to vote or create an account to vote. Wow.. thank you very Vivian Osuji. Am just seeing your comment now. Thank you once again for voting for us..stay blessed. I have voted for your project Sir Jonah. Eteicon wishes your snail project a great success in the competition cheers. OK. Thank you Natasha, I have also voted for your project too. Goodluck my dear. Have voted for u dear ,, please do the same! OK sir I will the same thanks. Thank you Natasha. Will look up your project right away. Goodluck in the competition cheers. Amen oo. Ivy dearie thanks a million. keep doing what you are doing,God will see u to the tops. My project "Project Dignity" was nominated for the Youth Citizen Entrepreneurship Competition in the Best Project 2016 category. Please read my idea at https://www.entrepreneurship-campus.org/members/natashaannietonthola/ideas/my-ideas/3549/ and I would be happy if you support my project with comments and votes. U can vote as many times as u can. I will also do the same and vote for u.may u reach ur potential. All the best. Hello Sudiksha, am happy to learn that you are an environmental conservationist. Kudos dear!!. As I also look forward towards partnering with you someday. Goodluck to us all in the competition and above all. Thank you for your encouraging words cheers. Thank you Cecilia Dearie. Am so happy that you love what we are doing through Eteicon. Thank you once again and have a blessed day cheers. Thank you very much Clair for your encouraging words. Very nice project and I trust this will be a great success in your country and can be adopted by others. Wow! I am impressed. Making the best out of waste. Thank You Mr Christophe, we will always keep working hard to help low income families across Nigeria improve on Sanitation Generally. On your project on Crop Irrigation System, I have already given my thoughts about it thanks. I see good health and cleanliness in your work as it increases proper sanitation in the population as well as maintaining the livelihoods among the people. Keep up the good work. I also want to be assisted on my project know as "CROP IRRIGATION SYSTEM" by commenting and polishing it. I wish all the very best in this competition. Thanks Rooney, that would be great and the market there would be huge. My team will think it through and also work out the logistics. Thank you very much Sir. Thanks Mr Joshua. Aba and Lagos are hugely over populated and that's why we keep experiencing the huge waste deposits in these cities. And only through Recycling can we convert most of these waste materials into reusable useful products. The most interesting thing is the amount jobs created along each line of Waste Paper recycling process for both Women and Youths. It really is a great idea. The amount of this waste in Lagos is one of the main reason of pollution and even flooding. Our population is large and the people leave a large amount of waste on the street and am so proud we have someone who can clean this up and create employment for others in return. Thank you Mr Davies for been inspired through our project. Nigeria has a population of over 160 Million People and this like you said Mr Francis is true for our huge Market while it also account for the huge waste produced daily~~~(*_*). In eteicon we gather these Waste paper through the help of Waste Pickers, Bale, supply for recycling and then Convert for use by Low income families. The whole process look quite easy oo but it's really a chain network of coordinated processes fused together and along each chain, there's massive jobs created for women and Youths. We are working each day towards perfection and through the process, discovering and learning new ways of simplifying the whole process. And through the process of learning and discovering, our passion for waste paper recycling and Reconversion keeps growing. We are always willing to Network especially amongst young entrepreneurs through information sharing and online/ In-factory training. Thank you very much Mr Francis for your kind and encouraging words. Eteicon wishes you great success ahead sir cheers. The way you put your idea looks like its not a hard business to do and as long as you have the waste paper then you can employ many. The challenge in Africa and the world over is un-employment especially the youth. If only you can increase the number of employees then you would have made Africa great because this would mean you will increase productivity. Nigeria is a strong market hub due to its population, use this and increase production so that you employ more people. Thank you very much Sir Jonah. We are not where we to be yet, however, we are not where we started. We are working each day to improve on our mistakes of yesterday. Thank you for your encouraging words; eteicon wishes you success. Have a blessed day Sir cheers. This is a dynamic project that has gained ground. Thus I don't see an area I can advice you upon..as most likely advises has already been given here. More grease to your elbow. Thank You Micheal Farrar, we are currently reconstructing our Website (www.eteicon.com) to have an e-commerce section where buyers can place order and buy Mums Toilet Tissue Online; while we supply to them upon confirmation of their cash deposit. On the other hand, what we do currently is that we have Lead Distributors across 15 states in Nigeria. Each of these our Distributors carries between 800 to 1000 bags of Mums Toilet Tissue Monthly. This is equally creating jobs for Drivers and young boys who off-load this tissue from the truck at their various sales depot. We are working round the clock to help keep our environment clean through the works of our project in Eteicon. Through Waste Paper Recycling, we are creating jobs for women and Youths. Through the salaries we pay, families can feed. Converting these waste paper into Low Grade Toilet Tissue for use by Low income families, Open-End defecation have greatly reduced in our community and this is a huge plus on Sanitation Generally in our community. Thank you Vincent Ushaki for your kind words as I also hope to read through your project or Idea soonest as you publish it on this platform cheers. Thank you very much Mr Opeyemi. I would be very glad to read through your project/ Idea and also share my thoughts about it. Good luck to you sir cheers. I love your project sir Tochukwu, besides you one of the Nigerians making our environment become a better place for us all. Would like to hook up with you. Would be posting my project so and would appreciate your comment also on it. Nice business concept Mr. Emelone. Kindly share more on your marketing strategy. You can go through this. Hahahahahahahahahaaaaa Mr Ademola, please but you don't address people like that now. Please am so sorry if I have not commented on your works/project; that could probably mean that you have not published your idea/project on this platform for people to read and advice you accordingly. Now that you have published your idea, kindly check now, I believe that am the first person to advice you on the comment box of your project. I wish every one on this platform the very best in all our various endeavours, Idea and project. With loads of love from #eteicon, do have a blessed day cheers. Thanks you Basir, let join hands to make our environment a very healthy one through Waste Recycling. There's more Wealth laying waste at our Waste dump sites. Recycling is #Key!!. "We can help educate our families and communities about the importance of recycling for our environment, and how each of us can make a difference for a better world by recycling." Thank you very much Noutcha. Thank you Charles. There's a saying that 'when you empower a women, you empower the Nation'. Nigeria has a total population of over 160 Million people and of this group Women and Youths make up over 65%. They are the worst hit of the High unemployment rate in Nigeria currently. In our capacity through Eteicon, we are helping to create jobs for this vulnerable group. Thank you Rooney, we must work hands in glove to help reduce the effect of Climate change in our continent. That's a great project bro. Your rows are what every society needs. Your project is give light to a green atmosphere. wish you the best. Please Ademola, I can't see your project yet. Kindly publish it on this platform for us to read and advice you where there's need for that thanks. Thanks Ade, when we create jobs for more Women and pay them salaries or Wages, they use it to assist the family; feed the younger ones, pay their school fee amongst many others..
That is a very great idea,most especially in the line of women empowerment,this days women can be catered for and they can make them to be recognisable in the society.Love your work man. (you can also review mine and give a comment pls). ...and thank you once again Mr Bernard. Am so grateful to have you as a friend on this platform. Have a great day cheers. Thank you Kunal, our priority in Eteicon is to help create more jobs that will help put food on the tables of many young unemployed Nigerian Youths and Women. It always wealth it when you see young and aspiring entrepreneurs being challenged with issue and the way they handle.. I can\'t change the direction of the wind, but I can adjust my sails to always reach my destination. Hey, Your project is simply amazing! Has a huge scope to create leaders and jobs at the same time and solving a social issue! Thank You Mr Bernard for your kind and encouraging words. infact, i was so streesed out this morning because one of our machine is not responding; but reading through your encouraging words now, i was challenge to go and get it fixed and guess what?? bro, the machine just started working now and at full efficiency. thank you very much sir. we never know how encouraging our kind words can be on others until we see it happen..thank you and Cheers. starting your own business is a risky and often stressful endeavor, but the fear of failure can be particularly strong for female entrepreneurs. As studies have shown, women, due to a lifetime of social conditioning, tend to be more risk-averse than men. But the good news is that we can undo all that negative conditioning. So make like Mae West and be the type of girl who climbs the ladder wrong by wrong. Theres no shame in that, and youll eventually get it right. i appreciative the kind effort you took in empowering women..if all will understand in the act of empowering women i think it will really help..
i will love to partner you .. 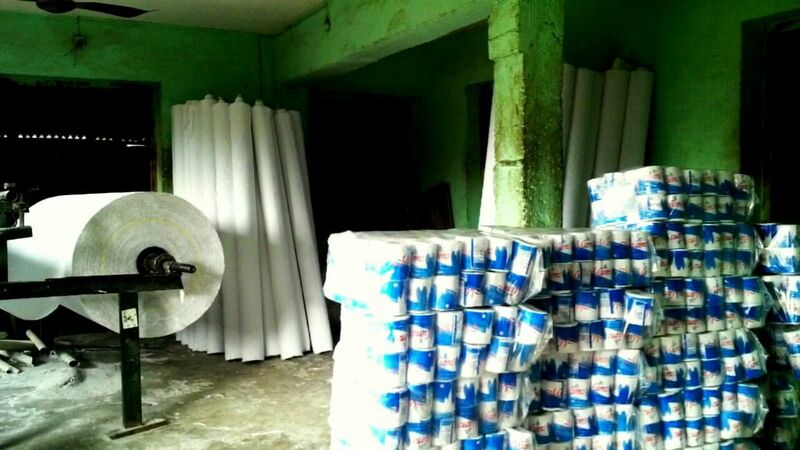 Thanks Frei, we only specializes in the Production of Low Grade Toilet Tissue for low income families for now but we hope to start producing Serviette later this year and that will also mean that we will employ more Women and Youths for that section too. Congratulations on your work, impressive and inspiring. As a part of the youth sector, its very nice seeing these kinds of initiatives. Do you also produce other products aside from paper? Thanks for the review too! We need more of the comments from my Noble friends in this forum. Read about our works Recycling Waste paper into low grade toilet tissue and see how we have created jobs for many Women and Youths in our community. Then, leave a comment behind. We will improve immensely through this conversation we are having through this platform. Please dont shy away; Tell us your mind and your thoughts about our works ok. ~~thanks. Thank you Mba. I trust you are also doing great too. Thank you very much Joshua. i trust you are doing great. This is great. This company E.T. Edwin Industrial Company Nigeria (eteicon) is not only giving employment opportunities to the youths in their community but also trying to help them achieve good health and wealth. God bless the Ceo of E.T. Edwin Industrial Company Nigeria (eteicon)and God bless the hard working youths of Nigeria. I just submitted my idea for 2nd round approval so that I can publish to the rest of the group. Thank you Mona. We are currently working on our expansion plan. Have you re-uploaded you project??. Wonderful job! You are doing some awesome work and have gained a lot of traction. One thing to consider is an evaluation plan. This will be key when seeking funding from large donors or even partnerships with international development organizations. I wish you and your company nothing but the best. The beauty of our work is the amount of Direct jobs that we have created for Youths in our community. Yes, it is a dirty job from the source but the finishing and end product is the cleanest, soft and very hygienic product (Mums Toilet Tissue ) that serves humanity. Thank you Benedict, feel free to contact me on + 234 703 248 7325 ( Call, SMS or WhatsApp ) or through my Facebook page www.facebook.com/emelone tochukwu eddy. Ok samba, I will do that. We can always share ideas on Waste Recycling too. Hello. Even if we don't operate in the same fields, i find that our ideas have the same goal: transforming unused materials in valuable object. Please check my idea and tell me what you think about. Hope you will reach your objectives and find success in your business. Hi Tochukwu , was very nice reading through your works and achievements . So much I can learn from you .Would it be okay if I could reach you personally so you can teach me some bits about entrepreneurship ,what you have learnt and about your journey . Will hope this platform can facilitate such conversations in the future . or perhaps Its because i haven't figured it all out yet . Thank you Isaacs and we hope to also partner with other Young Entrepreneurs in other African countries to see how we can start our company in their country to also service their community and neighbours too. Thanks to Youth Citizen Entrepreneurship Competition for this platform. Tochukwu, I am thrill by the fact that you could see cash from waste. Ideas and projects of this kind always use a stone to kill 2 birds. And your raw material too is easy to come by indicating partly the sustainability of your business. Congratulations brother. Well guess I am thinking of the future just like you.When I stated color it was not for toilet tissue I was referring to napkins different coloured napkins.I made a mistake with my link UrClickcast https://www.entrepreneurship-campus.org/ideas/4/2637/ .Please take the time to check it out if you have not already. Hahahahahaha hahahahahaha Jayson Sharpe, you just said our next line up plans. We also working towards installing a Serviette line using a locally fabricated machine. The installation is about 55% complete. For medicated wipe, we can only achieve that using a foreign machine that has in it installed, all the features we need. And guess what, it Sells like Wildfire in the Nigerian Market because, Nigeria has a population of over 120 Million people and record has it that over 100 Million people use Toilet Tissue and Wipes daily. Even for Low income families that use 'Mums Toilet Tissue' we are struggling to meet up with the demands from our distributors daily. Coloured Toilet Tissue are not really a fancy of many Nigerian Homes, Offices, Schools, Hotels, Hospitals. .etc. Thank you very much sir for your comment and suggestions too cheers. Thank you Regina. ., we signed a contract with the Federal government of Nigeria through the National Youth Service Corps (NYSC) to train Nigerian Graduates (Women and Youths) on Skills and Entrepreneurship with emphasis on Waste to Wealth project (Waste Paper Recycling and Toilet Tissue production at the NYSC orientation camp in Obubra Cross - River State Nigeria). On have another branch of our company in another state, we have really considered that but it would be very better for us to expand what we are currently doing into more larger scale here in Aba, Abia State and then have more sales depots across the 36 states in Nigeria. This will create an additional 60 Job opportunities for youths in our community to add to the 22 Members of staff we already have at the moment. Thanks dear Regine for your comment and suggestions. I can see that you are truly an entrepreneur by 1.investing in a necessity that people use everyday and 2.Using such a medium to get your partners businesses out, that is a brilliant stratergy.I do not know your product line up specifically but I can tell you maybe you can look at other paper products such as napkins in various colors,a high strength paper towel and medicated wipes, this will increase your line up and open up your markets.It is a great idea and using renewable sources you are making the world a better place.Continue doing the great work and I wish you further success.Please take the time to check out my idea UrClickcast https://www.entrepreneurship-campus.org/ideas/4/2637/ .Take care. This is a really great project sir! I admire your passion in helping out your countrymen. :) I would suggest as well that you already expand in other parts of yout country to provide more jobs for the youth. Also, it would be nice to hold trainings and seminars for ordinary citizens in terms of sanitation. Thank you too Benjamin. I trust you are doing great too in your venture; goodluck sir..
@Benjamin, thank you sir. Trust you are doing great too. Wow.. Thank you ignatius. We are currently developing an e-commerce section in our website that undergoing some reconstruction now. This we believe, will improve our sales online. #using the powers of ICT. Thank you for very much sir. Good idea, clean environment, think of going digital and using the power of ICT to drive sales, expansion, research, economics, impact and sustainability. Thanks please how do send friend request here or comment on your ideas. Hello Guys, please take out sometime from your schedule and study our project. Advice us in areas where you think we should improve on and also make suggestions. Your thoughts will help us a great deal to scale up Project on Youth and Women empowerment through the conversion of Waste Paper into Low grade toilet tissue thank you.